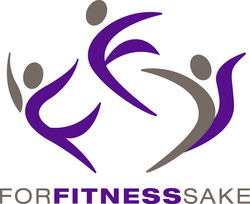 In addition to Personal Training and one-on-one coaching in Wellness and Nutrition, I also offer Group Fitness instruction options including: Zumba Fitness, Bootcamps, Fitness Kickboxing and other multi-person training options. Whether for Schools, Corporate Wellness Programs, Sports Teams cross-training, Clubs and Associations or Community Leagues, I have a fitness program that will suit your needs. I have had the pleasure of teaching various levels of Zumba Fitness to Junior High and High School fitness recreation programs, Municipal Recreation Programs, Community Leagues, and a local Figure Skating Association as a component of their cross-training programing. I also have experience in providing off-ice, dry-land training for Minor Hockey, as well as conduct group Outdoor Bootcamps for all fitness levels. Corporate: On the corporate side, I provide services including facility and task observation and an ergonomic assessment with the intention of providing knowledge, coaching and programming so the worker can and will take ownership of their personal safety and well-being. By instituting programming such as a warm-up and stretching protocol by way of example, it works to accomplish two things: First, it will physically prepare the workers to begin their tasks with a reduced risk of injury related to repetitive strain, as well as more immediate and acute problems. And second, it will begin to work in establishing an understanding of body-awareness and functional movement patterns in the workers, and how that relates to their tasks and job. Culture change takes time, and this is about the long-term health of the organization and its most important asset – its people.